Last week was a busy time at the winery. 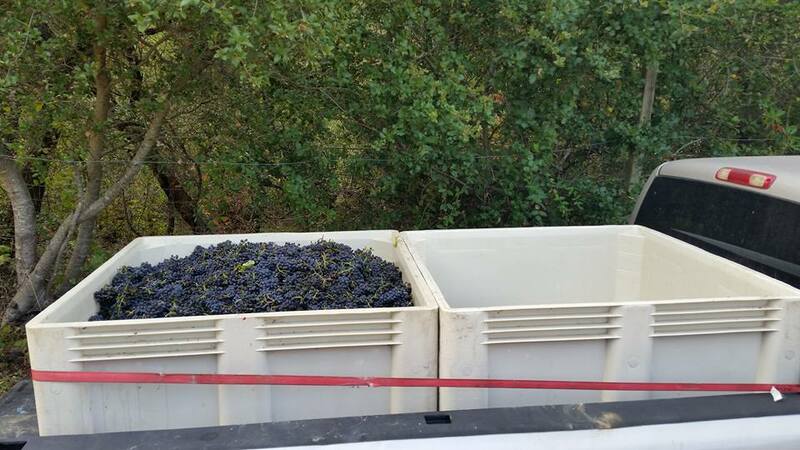 It’s a bit early this year, but we have already harvested Zinfandel from Santa Clara AVA and Pinot Noir from two Santa Cruz Mountains vineyards. Although we have a new crusher/destemmer, crush is still a very manual process for winemakers John and Neil. In the weeks and days leading up to harvest, we monitor sugar levels using a refractometer and we also visit the vineyards regularly to taste the berries, chewing on the seeds to check crunchiness. We also monitor the weather as an early rain can lead to mildew and too much heat can lead to elevated sugars. So far, the weather has been cooperative and the grapes, although ripening a bit early this year, have perfect sugar content. Yields have been down a bit because of the drought in the late summer and, ironically, because of the heavy rain in April which knocked some of the bloom off the plants. Our grapes are harvested by hand and then trucked to the winery in field bins. Each bin holds approximately ½ ton of grapes. 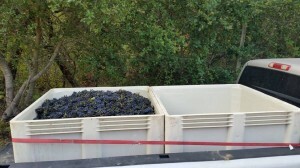 The grapes are manually sorted to pick out the best fruit and then gently tossed into our new crusher/destemmer. The juice and lightly crushed grapes are siphoned directly into a fermentation vat while the stems are composted into the soil as a fertilizer. Next week, we will get Syrah from the Pasha Vineyard in Santa Clara AVA. 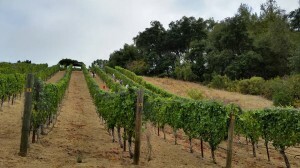 So, it will be time to harvest, crush, and then repeat when we get Santa Cruz Mountains Cabernet later in the month.